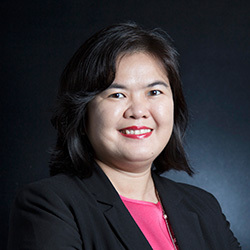 AINAL MARLINDA MD SAID is a partner in the Corporate Real Estate practice group. 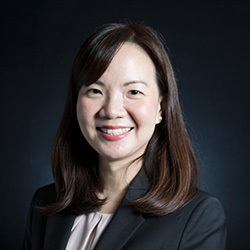 She holds a Bachelor of Laws (Hons) degree from Liverpool John Moores University and Bachelor of Laws (Hons) degree from University Teknologi MARA (UiTM).She was admitted as an Advocate and Solicitor of the High Court of Malaya in 2000. Ainal joined ZUL RAFIQUE & partners as an associate in 2015 and was made a partner in 2018. Her area of practice primarily revolves around conveyancing practice and other property related transactions such as sale and transfer of real properties, leases, tenancies, tender, property development and islamic estate planning. Ainal has advised and represented clients from individuals to various corporations on banking documentation relating to the financing of purchase of property, refinancing of property and also other general conveyancing practices. She advises on distribution and transfer of assets, development agreements and joint venture agreements for property development.